Now available for Php 300 in Blue or White. One size 35cm x 76cm or 13 3/4" x 30" approx. 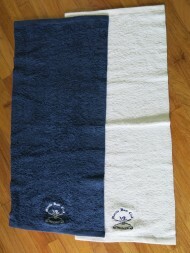 Perfect for use as hand towels at home or keep a few in your sports bag. Folded they make an excellent pad for your sliding seat!